Do you have or want a rectangular house without two gables? To put it in other words: do all sides have the same height? In that case, a hip roof is an excellent choice. This roof is one of the most popular roof types and it gives your house a lot of character. Hip roofs fit with both modern and rural houses. Discover more in this article! Are you looking for professional roofers? Receive noncommittal price quotes for free. What does a hip roof exactly look like? All four sides of a hip roof slant towards the roof edges. Actually, it is a variant of the tradition gable roof, which only has two roof planes. As opposed to a gable roof, there are no sloping roof planes. The two long roof sides exist of a trapezoidal roof surface, whereas the short sides have a triangular shape. In this way, the roof shape emphasizes a building’s horizontality. 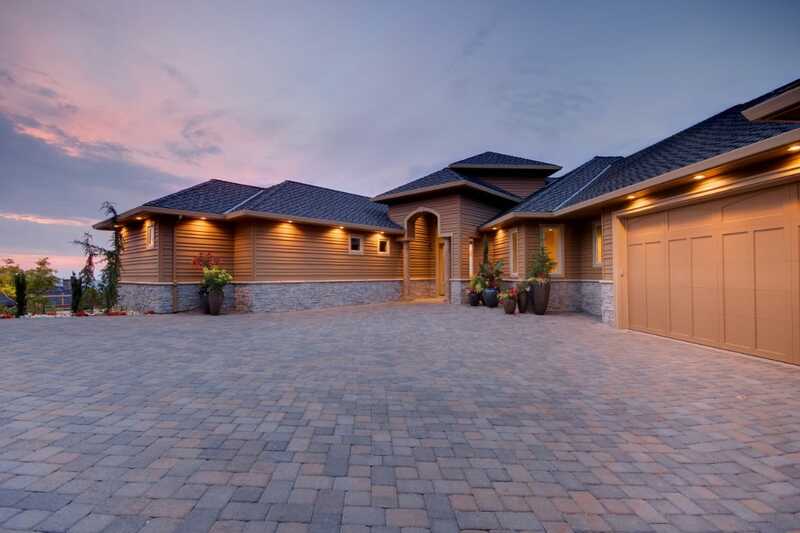 For this reason, a hip roof is a popular choice for farm houses, cottages and so on. Nevertheless, a hip roof actually fits every architectural style. Your house has to meet an important condition if you want to install a hip roof. All sides of the house must have an equal height and be in a horizontal position (water level). The risk of severe damage is rather small, since hip roofs offer better protection against storms and gusts of wind. Therefore, this roof type is very interesting in open and rural areas with a lot of wind. The long sides of the hip roof are very suited for one or more beautiful roof dormers. This way, you create a lot of extra light and space inside. Next to that, this roof type has some disadvantages as well. As far as ventilation is concerned, a hip roof is less efficient than a gable roof. Moreover, there is less space in the loft as compared to a gable roof. You can, however, solve this problem by adjusting the slope of the roof. Which type of roofing for a hip roof? Almost every roof covering material is suitable for a hip roof. 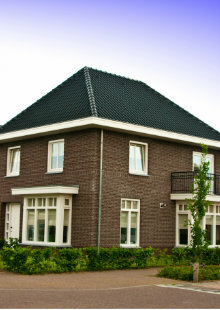 Roof tiles are still very popular and are available in various designs. 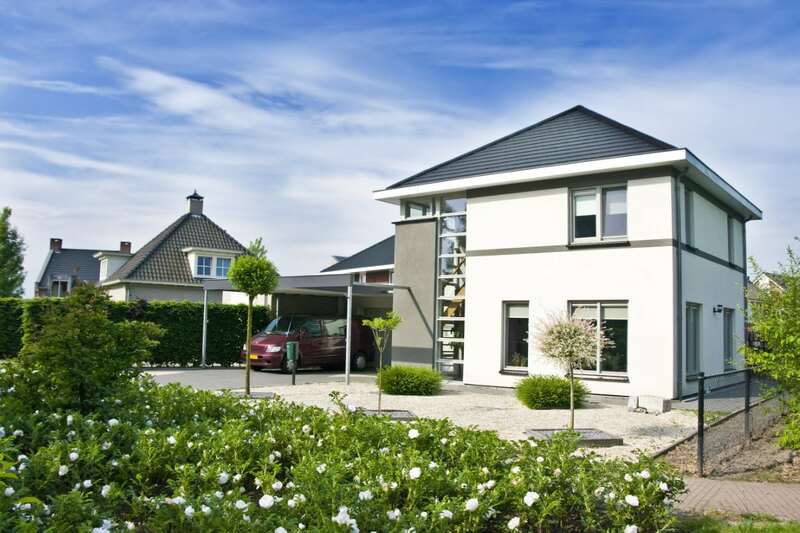 Concrete tiles are considerably cheaper than clay roof tiles or flat roof tiles, for example. Also slates, zinc, plastic and a green roof are frequently chosen materials. Slates (available in natural slates or synthetic slates) are generally more expensive than roof tiles, but they fit with both modern and classical houses. Zinc, however, is especially popular for modern buildings. In this article, you can find more information on all types of roof coverings. Take into account that the costs for roof coverings depend on several factors, such as the surface and accessibility of the roof. 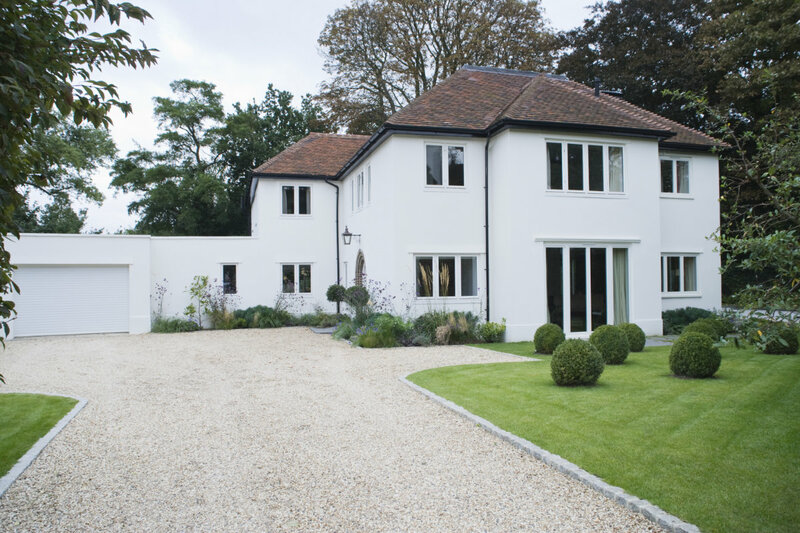 Request free customised quotes from professional roofers. As for the price, a hip roof does not substantially differ from a traditional gable roof. Nevertheless, since there are more corners and sides, the average cost is slightly higher. However, the price should not be a decisive factor. The appearance of the roof and the house are more important, just like the available amount of space beneath the roof. Apart from the cost of the roofing material, you have to take into account the costs of the roof construction (purlins or trusses), the installation costs and extra options (roof windows, roof dormer or chimney). Read more on the price of a new roof. The installation costs largely determine the price of a new hip roof. These costs can differ from roofer to roofer. Yet, it is strongly advised to have the roof installed by a recognised craftsman. He possesses all the required materials, such as a ladder, a crane and an elevating truck. Moreover, a roofer has got the right knowledge and experience in order to guarantee a flawless, safe and fast result. Specialists are used to working on a great height and they are familiar with all the safety regulations. Another advantage is that professionals can offer better prices per square metre for roofing materials, since they order large amounts from suppliers. Do you want to have a hip roof installed by an experienced roofer? On our quote page, you can request quotes from various experts in your region. This service is non-binding and for free. In this way, you can easily compare prices! Click here to receive price quotes. Houses with a thatched roofing often have a hip roof. The right part of the rural house below is covered with a thatched hip roof. The low eaves actually cover the upper part of the house. This way, they highlight the shape of the house. The beautifully integrated roof windows on the side even give the roof some more charisma. This beautiful and modern house has an irregular shape, alike the roof. Because of the varying wall heights, the different hip roofs have varying heights as well. This has a very unique and playful effect; the hip roofs immediately catch the eye and create an added value to the whole. In the next example, we see a tight and white house. The shape of the building is perfectly suited for a hip roof, despite the fact that the house does not have a distinct horizontality. The hip roof is a sober, yet nice finishing on this rather rectangular house. It is a perfect alternative if you do not like a flat roof on a tight house. Curious about specific price offers? On the quote page, you can request customised quotes from several experts in the vicinity. Click here to go to our quote page!